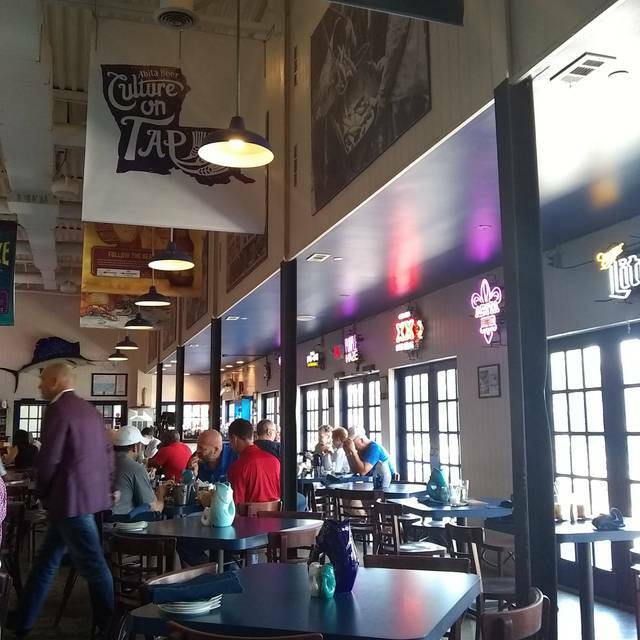 You must make reservations at least 5 minutes in advance of the time at Amberjax Fish Market Grill at Trinity Groves. Ample parking available in and around the Trinity Groves complex. Valet available for dinner. 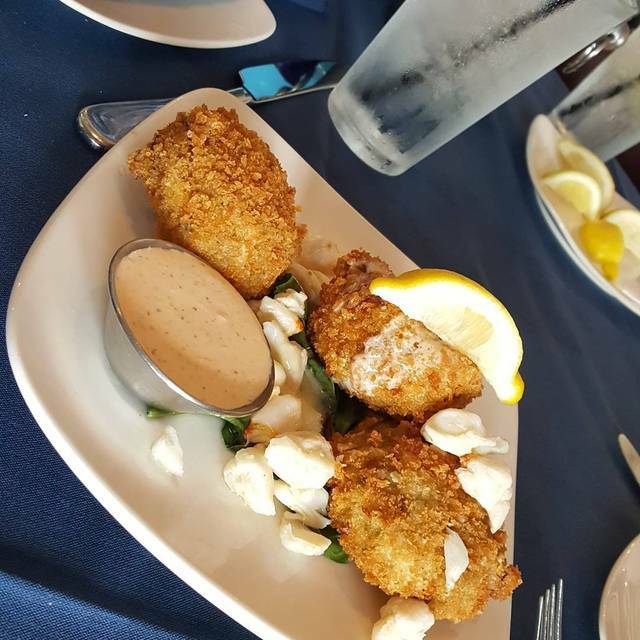 At AmberJax Fish Market Grille, we bring our guests the best and freshest seafood from around the world – whether you’re eating at our table or yours. Make a quick stop in the market to find an array of centerplate proteins including the freshest fish, seafood, and prime beef, along with healthy, ready-to-heat soups, gumbos, stocks, sides, and sundries. If you don’t feel like cooking, Chef Larry will do it for you with all the freshness and variety of the market at his disposal. We serve his special brand of luxury comfort food in our full service dining room, with a full bar and wine list to complement your meal. Whether you’re on the run or ready to relax and dine, the AmberJax family invites you to visit us in our new home next to the Margaret Hunt Hill Bridge at Trinity Groves. 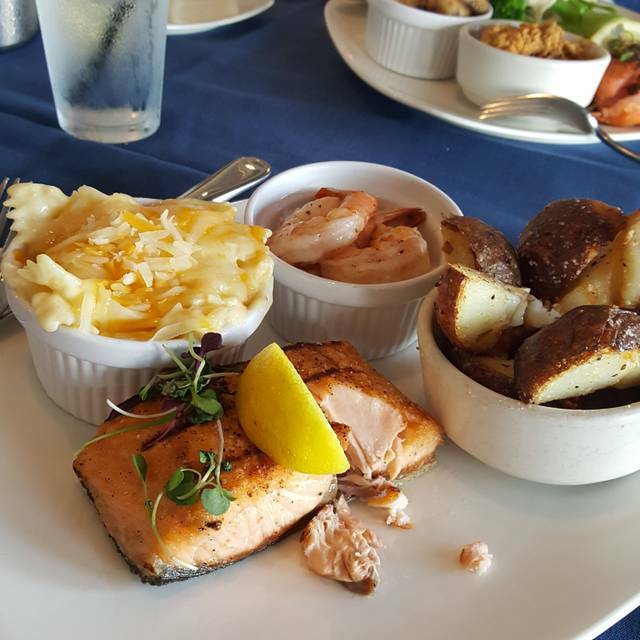 This Mother's Day, please join us for a Special Mother's Day Selection featuring some of the best seafood and most exciting preparations that Amberjax has to offer. We will be open early at 10:30am, and you can find more details on our Website or check us out on Facebook. 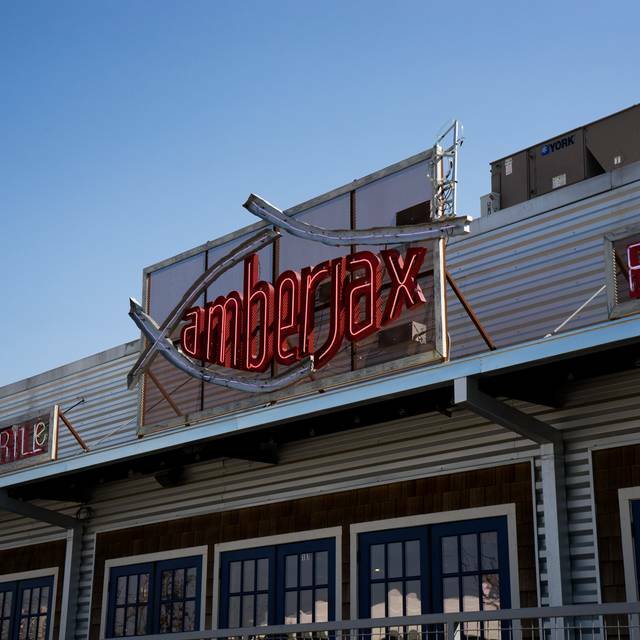 This Easter, bring your family to Amberjax to experience some of the freshest seafood in town. We will be offering a special limited version of our menu this Easter, with some of our favorite items, and a few surprises. Please see our website or Facebook for more info. 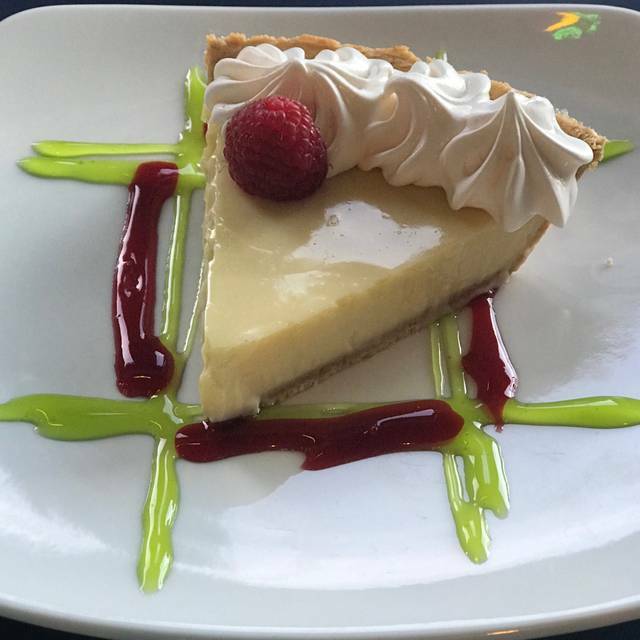 We love the food at Amberjax and the service is beyond belief. It is one of the most pleasant places to have dinner. Great food and value. We loved eating here! The food was incredible. I would highly recommend that management install changing tables in the bathrooms, though. And a warning to patrons: there's no changing table in the public restroom serving the general Trinity Grove area, either. Very surprising and inconvenient. Disappointed! Made a reservation but was escorted to the worst table in the house. Lots of empty tables but they seated us 4 feet from the kitchen door where all of the food comes out. Very busy & high traffic area. We asked for another table & were seated out on the patio where the temperature made it a bit uncomfortable. Not to mention, in the “special occasion” part of the reservation, we noted that it was my wife’s birthday but no acknowledgment. Why ask if it means nothing?! Food was great but disappointing experience. 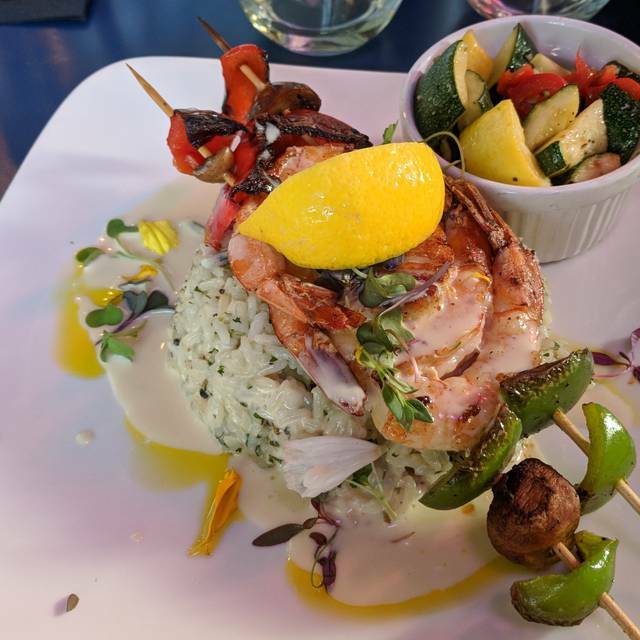 Very fresh seafood, excellent service, cool fish house vibe. Awesome! Glad to hear you enjoyed your visit, Mark. See you soon! Gumbo had good flavor but more of a gravy consistency than most of the gumbo I’ve ever had. It had set in the back so long that it had skimmed over. Both bowls at our table had set awhile. The salad with grilled chicken came out without the grilled chicken, which they had to cook and then bring out. I usually get grilled fish and it’s always very tasty. Think I’ll go back to the fish! The acoustics are so bad we couldn’t hear across our round table for 5. Better for a table of two or a table of 4. But I will go back because I’ve always been pleased before. Thanks, BR! We are very happy to hear that we crafted a great dining experience for you and your clients. Look forward to having you dine with us again. Food was great, service was great & ambiance was great! Thanks for the review! We are glad you enjoyed your visit. Hope to see you again soon. I ordered the catfish dish, which in my opinion was very pricey for one small piece of fish. Patriece, Thanks you for the feedback. Every comment is invaluable in our ongoing efforts to improve. One of the things we have to always consider is that all of our fish is market fresh daily, and never frozen, so sometimes our prices ARE going to be a bit higher than some of our market competitors that use frozen and re-freshed seafood. We are sorry you felt the price was too high, but hope that to see you soon so we can help you find something that exceeds your expectations. The food is excellent, the prices are moderate and the service - wonderful. Thank you, Steve! We really appreciate the review, and are glad we made a great impression. See you soon we hope. We were celebrating my husband's birthday with our 2 children (20) and (16). We started with Calamari which was fantastic, unfortunately the portion was a bit small. The clam chowder soup was perfect! The blackened red fish had just the right amount of spice! My son ordered the lobster roll w/butter and he it ate in less than 3 minutes, it was awesome! 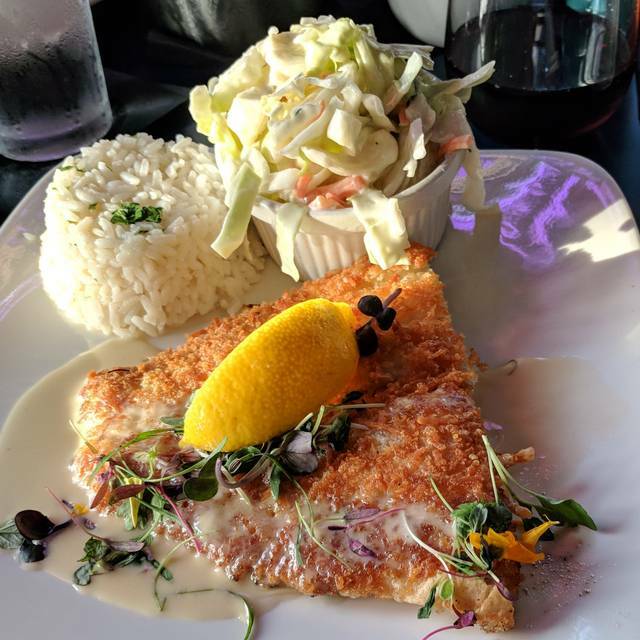 My husband had the whole fish, great flavor, and our sweet server filleted it at the table, but unfortunately it had too many small bones, not surprising. Lastly, my daughter had the Creole crab cake (hatch chili style), it was a bit small as an entree and it was just ok, not great. She should have ordered the Blue Maryland style crab cake. All the sides, fried okra, Mac & Cheese, red beans & rice were great! Our server presented my husband with a birthday chocolate cream cheese pie and it was super! Altogether, we had a great experience and would like to try other things on the menu! Lin, that sounds like such an amazing birthday dinner for your husband and your family. Thank you so much for taking the time to give us the feedback, we really appreciate hearing such great stories from our guest. 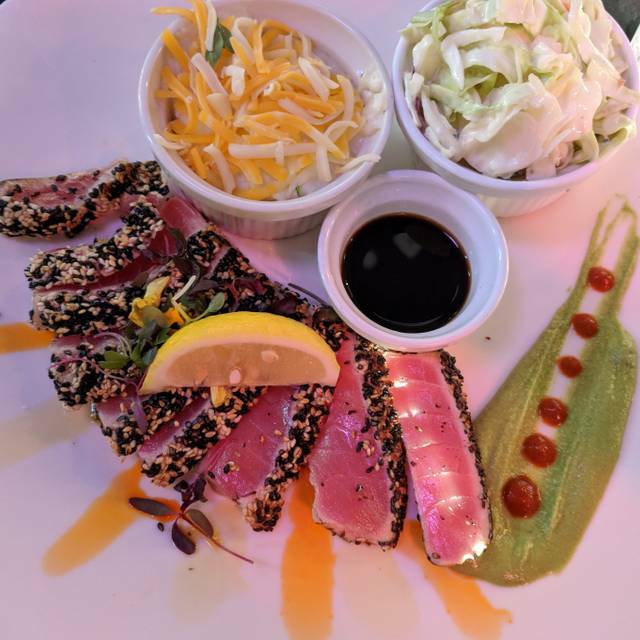 We look forward to having you dine with us again soon so you can try all the things you didn't get to this time. The food was good and the service was great. The prices are comparable to other seafood places but their portions are much smaller compared to most. It is a cool area to go eat and walk around afterwards. Well thank you for the review Kevin! We are glad you had a great time dining with us, though we do appreciate your concern with our portion sizes. One of our points of pride is that we use fresh daily seafood, and sometimes that comes with a higher internal cost than some other concepts. That cost does sometimes translate to having to find the right balance between price point and portion size. We hope next time we can guide you to something that will be as filling as it is affordable. Good meal. Too full to stay for complimentary dessert. Didn’t offer to pack it up. Oh no! We are so sorry you didn't get your complimentary dessert. We definitely should have offered to pack it up for you. Let us know next time you stop by and we will rectify the situation. The food is always good. I had the full order of catfish and i should have gotten half because it was alot of food. Love the shrimp and grits and their pasta is delish. Will try dessert next visit. I tell everybody about Amberjax. Sherry, Thanks so much for the kind words! We are glad you enjoyed your visit. Hopefully you got to take the rest of your catfish home for a second meal. :) We look forward to seeing you again soon. P.S. Try the Bread Pudding. It's divine. We used to love this place but it appears to be slipping. Our food was ok. Not great like it used to be. Jeff, We are so sorry you felt that your visit wasn't as good as previous occasions. We would love the opportunity to discuss the details with you further, perhaps to get a better idea of what went wrong, and how we can make it right for you. Please reach out to us in an email or private message, we hope to hear from you. Great service and food. Due to limited space the table spacing was tight and therefore caused you to hear everything around and everyone to speak louder. I'm from New Orleans and this is the closest, best food to satisfy my homesickness. They had me at "Leidenheimer bread" for the po boys & egg and potato salad for the gumbo. Well Erin, that's so sweet. We are so glad that we are able to provide a little bit of that Louisiana comfort for so many people, yourself included. Look forward to having you dine with us again. Always cordial, casual atmosphere with a delicious selection of fresh catch. Thanks Babs! Fresh is the name of the game. Hope to see you again soon. Jeff provided excellent, friendly service. Dinner was terrific as always! Very loud, and particularly difficult to hear my colleague talking. Soooo good! Definitely coming back. They have two menus; the menu they hand you and items written on their chalk board. I recommend ordering from the chalk board. It includes daily specials outside of the standard paper menu items. Appetizer - We ordered the calamari. My sister really like it. I think I prefer calamari a little over cooked so I may not order it again. Dinner - My sister ordered the Fish & Chips with Garlic Mashed Potatoes. She surprised herself with how much she liked it! She's not a big seafood eater but before she realized she was saying "I only have one left!" I ordered the Parmesan Flounder with Butter Sauce and added the Alexander. My sides were the Garlic Mashed Potatoes and Broccoli. Toooo good! It is a weekly special made fresh so the chalk board may change depending when you visit. I hope it's on rotation next time I go!! Drinks - Love Potion #9. Sweet and Delicious! My family Came the too have a good time for my mom birthday. The food was the waiter she was nice she just didn't expand the prices well which for a person who have never came there before..But other all the manger who was there on Saturday 23 of February was very,very rude to my family..and the way he talk too us was not very customer friendly at all..so on that note we will not be back ..
Only issue is they had a select menu instead of there usually. So I was expecting more options. We love the restaurant, but it would have been better if they had the full menu available for Valentine's Day. I must say as always the service was absolutely excellent!!! The experience was beyond amazing. The host (Mark) was very attentive and accommodating. The food was flawless. The service was outstanding! There was a corporate buyout that evening but the manager did not cancel my reservation because it was Mt husband's birthday. My husband loved the place, service and food. He even suggested we start bringing our out of town guest to Amberjack . Birthday lunch wa last a great time. Wonderful delicious food and excellent service. This was our second visit. Both times we have had excellent service and great food. Very fresh ingredients. Excellent seafood....great Cajun/creole food.....enjoyed our anniversary here.....will do it again so!!! Excellent food and service! I especially loved how fresh the seafood is! We were seated in the back dining area, so the noise level was better. Our server was very good. Service was fast, and the food was great. We will definitely return. Overall a good place. Pricing on some items seems high. $16 for a 4-piece shrimp cocktail. We had a bad experience with our waitress. She took forever to deliver drinks, left the salmon off of my friend’s salad (which was delivered to our table at about the time the rest of us finished eating), and we cancelled our 2nd round of drinks after waiting for about 10 minutes. She admitted that leaving the salmon off was her own fault but she didn’t even offer to come her meal. She gave us all free dessert cards for our next visit, really? Hands down the flavors on all of our dishes were excellent. Great food and outstanding service! The staff are very accommodating me, we were waiting for another couple, they did not rush us through lunch. The food was amazing! Great seafood menu. Lots of choices. Attentive servers. Good vibe. GREAT food, GREAT service, FRIENDLY staff.... 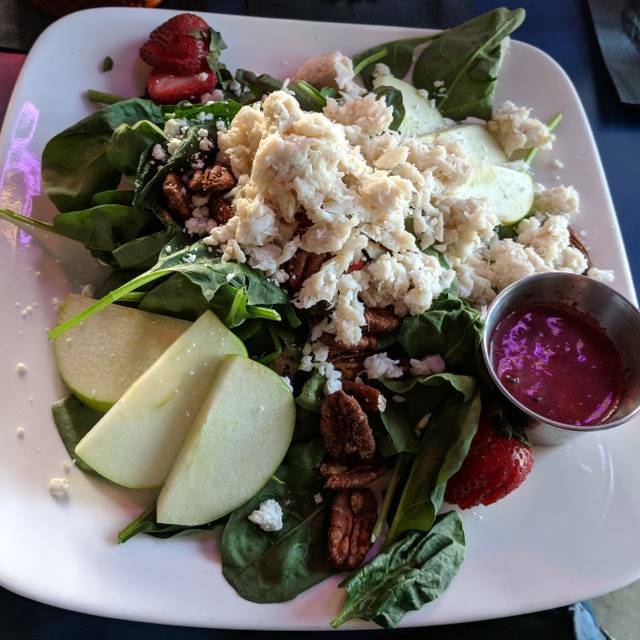 Overall, this scratch kitchen food is AWESOME and so is the experience! Our first visit to Amberjax was fabulous. The service and the food were excellent! We had 4 people in our party. We ordered different items and shared. We all agreed that every meal had a unique flavor and all were exceptional! This visit was our first, and it was definitely the first of many visits to come. Thank you for a wonderful evening!